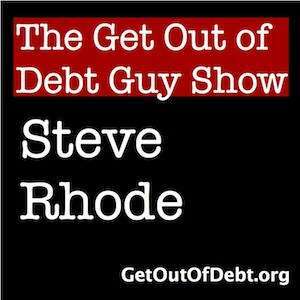 Today I want to talk about the reality of digging out of debt with budgeting and reducing expenses and the Debt Bridge. But how to do a budget is not my focus today. 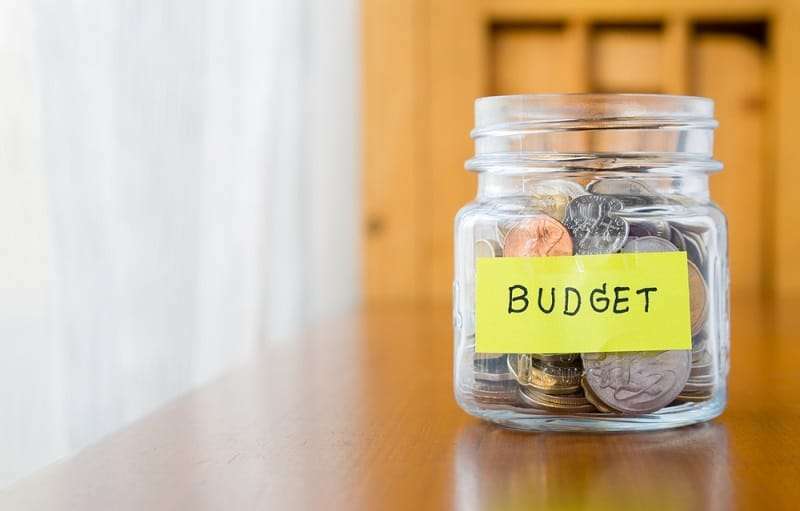 Instead I want to focus on the incorrect assumptions many seem to have about the amount of money they need to make available in their budget to eliminate their debt. When people sit down and make that budget out of panic they attempt to add up all of their expenses and income. Just on its face that kind of budget is what I like to call the “Are you kidding me” budget. The reason, when people try to recall spending and income they typically underestimate expenses and overestimate income. It’s not a real budget. 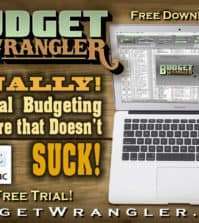 The only way to create a real budget is to track all expenses and income over time. You can download my free book Eliminate Your Debt Like a Pro for more details and examples. But even the initial thought of a budget that will be sufficient to erase debt is typically not severe enough. No, we need to cut and cut again. In the crappy drawing I made below, the section marked A is the typical amount of reduction in expenses that people think they need to make. They aim at bringing themselves back to even. But the reality is the cuts you need to make must be severe enough to not only bring you back to a break even but beyond (B) and it is the area beyond break even that will be available to reduce your debt. If all you do is reduce your expenses by A you only leave yourself stranded on what I call the debt bridge. In another lousy napkin drawing, I really should stop drawing publicly, we can see by reducing expenses just by A all we do is level out our debt and neither increase in nor reduce it. 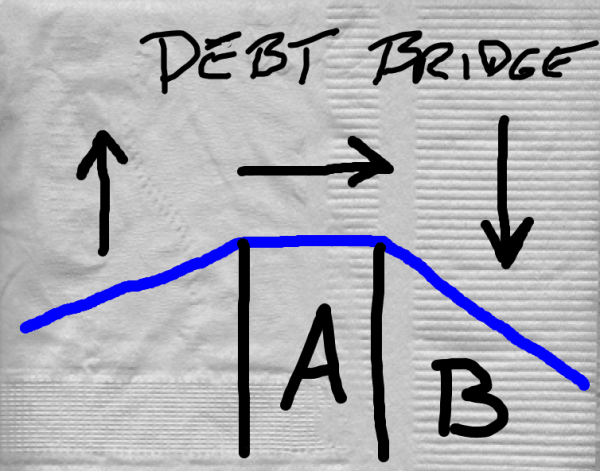 If we want to get the hell off this bridge and out of debt we need to move into the B phase and build ourselves an offramp. READ Tony Writes In "I Have Too Much Debt On My Credit Cards"
But the ability for people to get to B and sustain it, when they are running significantly negative each month in their budgets, can be unrealistic. The reason is because to get to that B area and sustain it nearly everyone will have to make some sort of fundamental lifestyle changes to do that. Sustained forced deprivation just doesn’t work for many. They can’t do it and feel like failures. To make things work, people get to B by cutting out things like saving money or saving for retirement. That does not count. Those expenditures must continue to be included in the monthly expenses. They are not optional items. Some people can make it to B and sustain it. But I’ve met very few people that can do it and still save for those critical future financial needs of emergencies and retirement. If you don’t think you can then take a look at my How to Get Out of Debt Calculator to review your options on how to intervene with your debt.